Salesforce syncing settings are controlled by the account administrators for each organization. Go to the Account and Billing page in the Mixmax web app. If you're an admin for the organization, you will see some tabs on this page. Click the Roles tab. Changes you make on this page will automatically save for any team member who is using the team settings. 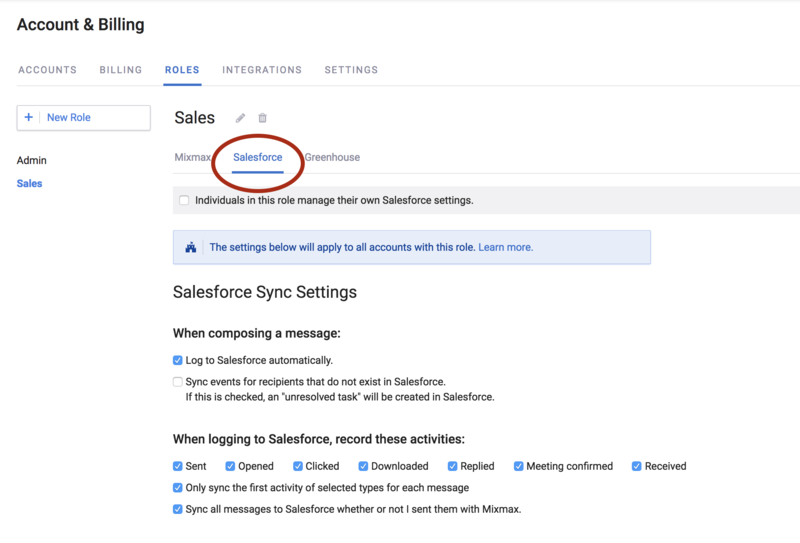 Any admin on the organization can edit the Salesforce sync settings that the team will use. Organization admins also control the Salesforce fields that show up in your Mixmax sidebar. By default, all required fields will be selected. Any field that is checked will show in the sidebar for all team members using the settings. You'll see the list of fields if you scroll down on this page. As an account admin, on the Enterprise and Growth plans you also have the ability to set up real time Salesforce syncing from the integrations page. You can learn more about setting this up here. 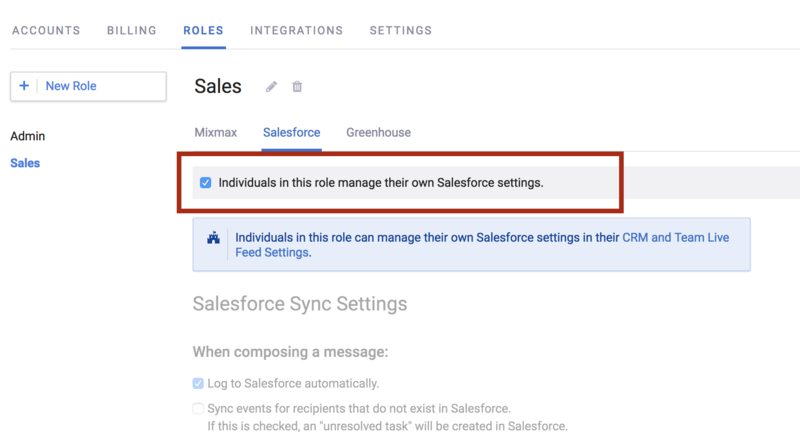 As a member of an organization, your Salesforce settings will be determined by your organization admin. 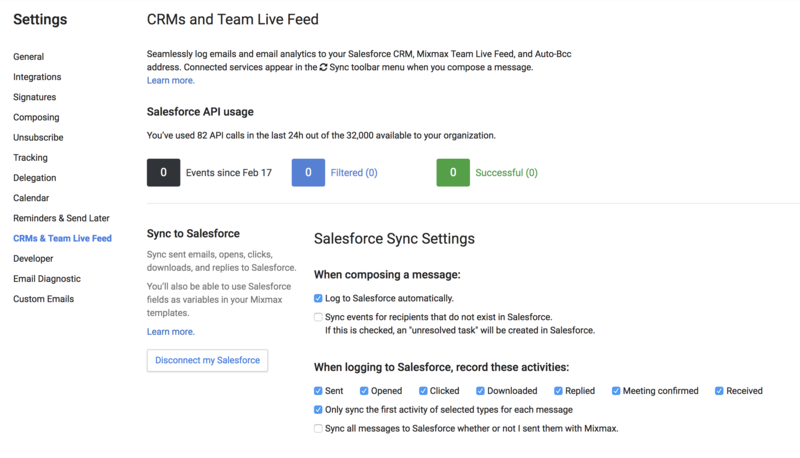 You can view the settings in your CRM and Team Live Feed settings. If you are have an individual subscription and are not yet part of an organization, you will be able to set your own settings under the CRM and Team Live Feed settings in your Mixmax dashboard.